Club de Golf Alcanada, the multi-award-winning Mallorcan venue, has picked up yet further recognition after being voted a top 10 hit in Golf-Drives’ Top 50 Hidden Gem Golf Courses. Alcanada, which is the only layout on the island that is situated next to the sea, was seventh in the rankings and follows on from making the prestigious Top 100 Golf Courses of Continental Europe 2018 for the first time recently when it was ranked 81st. Golf-Drives’ Top 50 Hidden Gems was compiled from data and information from a host of review sites and panel of ‘golf enthusiasts’, focusing on highly acclaimed but lesser-known courses across the continent. Alcanada director of golf Kristoff Both said: “We have a proud history here at Alcanada of being recognised by both visiting golfers and the trade for our first-class course that provides a real test of golf with the added bonus of the unrivalled views that cannot be matched. Nathan Dugal, marketing manager at Golf-Drives, a golf transfer specialist service with offices in 15 European countries, added: “We made sure to stay away from the usual top golf clubs across Europe as we wanted to recognise the clubs which didn’t have the huge reputation as, St Andrews for example, but offered an equally brilliant, if not better game of golf. “We’re incredibly happy Alcanada made the list, this is a course that should be on any golf enthusiasts’ bucket list. Club de Golf Alcanada, which opened in October 2003, sits in a breathtaking location overlooking the Bay of Alcudia and takes its name from an island with a lighthouse, situated just offshore, which can be seen from most of its holes. The Porsche-owned course, a member of the prestigious World of Leading Golf collection, also boasts magnificent mountain views, while a mixture of pine and olive groves add to what is regarded as one of the finest venues on the continent. Alcanada’s 7,108-yard, Robert Trent Jones Jr-designed course also houses a centuries-old Mallorca clubhouse, which offers guests the opportunity to sample regional specialties in its first-class dining facilities on a sun-baked terrace that enjoys spectacular views. 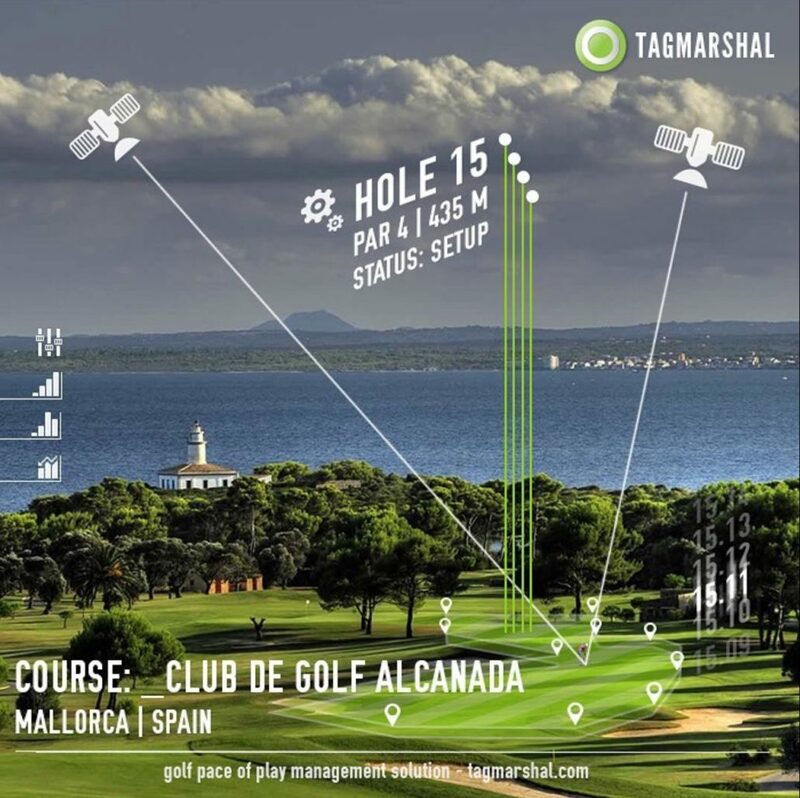 Club de Golf Alcanada is constantly at the forefront of golf evolution and last autumn signed a three-year contract with Tagmarshal, a course management system, which on average should speed up play by 14 minutes thanks to its tracking tag that clips to golf bags and provides real-time data, allowing up-to-the-second information on every group of players.